The Times of Israel liveblogged Wednesday’s developments as they unfolded. A senior Israeli official tells reporters that “Israel received almost everything it wanted” during Prime Minister Benjamin Netanyahu’s meeting yesterday in Brasilia with US Secretary of State Mike Pompeo. “The prime minister left the meeting with a feeling that Israel has influence in certain areas (on US policy) and that Israel and the United States are working on various ideas regarding Syria that will help Israel,” the official says. Netanyahu said ahead of the meeting that he had asked to Trump to carry out the US withdrawal from Syria gradually rather than all at once. The official says that “Israel had 8 requests — 7 of where were answered” by Pompeo. The lone issue still to be worked out between the parties is Israel’s sale of aging F-16 fighter jets to Croatia. The Trump administration is said to be angry that Israel added Israeli-made electronic systems to the F-16s as part of efforts to convince Croatia to buy the planes. The US is said to believe Israel unfairly profited through its actions, as the F16s are American-made and were not supposed to be sold to a third party without its approval. After meeting with Honduras President Juan Orlando Hernandez, Prime Minister Benjamin Netanyahu hopes that Tegucigalpa will move its embassy from Tel Aviv to Jerusalem in the next two months, a senior official says. Israel will in turn open an embassy in Tegucigalpa, the official says. There currently exists only a consulate in Honduras. Honduras has asked Israel to assist it in developing its relations with the US and therefore, a three-way meeting was held between Pompeo, Netanyahu and Hernandez in Brasilia. “Israel wants to help South American countries solve some of their problems in the fields of water as well as the economic and security sectors, and the US has an interest in that cause as well,” the official says. A senior official says that Hungarian Prime Minister Victor Orban told Prime Minister Benjamin Netanyahu in Brazil last night that Budapest is moving forward with a “new plan” for its Holocaust museum, which critics said could minimize the complicity of Hungarians in the murder of Jews during World War II. Earlier this month, Hungarian government officials met in Jerusalem with representatives from the Foreign Ministry and the PMO to discuss the House of Fates museum, which Israel’s Yad Vashem Holocaust memorial center and some in Hungary’s Jewish community are boycotting due to the historical account presented by the museum on events leading up to and during WWII. “The Israeli government reaffirmed its stance that it would only agree to a narrative that meets standards consistent with the objective historical and professional interpretation of organizations like Yad Vashem and similarly respected research institutes,” the PMO said in a statement at the time. The US Justice Department rejected a request by Israeli investigators to question former secretary of state John Kerry and former ambassador to Israel Dan Shapiro over their involvement in Case 1000, a corruption probe against Prime Minister Benjamin Netanyahu, the Haaretz daily reports. In Case 1000, Netanyahu is suspected of receiving benefits worth about NIS 1 million ($282,000) from billionaire benefactors, including Israeli Hollywood producer Arnon Milchan, in exchange for assistance on various issues. Among the favors Netanyahu is accused of doing for Milchan was getting the producer an American visa. To do this, he is said to have reached out to Kerry and Shapiro for assistance. “It’s ridiculous. Milchan has contributed a lot to the American economy. Give him a visa,” Haaretz quotes Netanyahu as having once told Kerry during a phone conversation that centered around the peace process. During his interrogation, Netanyahu confirmed that he had helped Milchan, but claimed that he did so only because of the billionaire’s contributions to Israel’s security, Haaretz reports. Former defense minister Moshe Ya’alon has officially registered his new political party. It will be called Telem, which is an acronym for the National Statesmanlike Movement. Settlers responsible for recently placing a pair of mobile homes on the hilltop where the illegal Amona outpost once stood say they have no intention to evacuate after the state gave them 48 hours to do so. The settlers, led by Binyamin Regional Council chairman Yisrael Gantz, Amona leader Avichai Boaron and Jewish Home MK Bezalel Smotrich say they legally purchased the land on which the mobile homes were placed from the original Palestinian landowners. However they did not coordinate the installation with the necessary state bodies and they lack the permits required to make such a move. Moreover, the IDF had placed a closed military zone order on the hilltop after it was cleared in February 2017. Upon learning of state plans to take down the mobile homes, the real estate group responsible for installing them petitioned the High Court of Justice to block the move. In response, the State Attorney’s Office issued a declaration giving the settlers 48 hours to remove the caravans before the state would do so. The real estate group then issued a request to have the State Attorney’s Office’s order delayed, but it has been denied by the High Court. A spokesman for Gantz tells The Times of Israel that the settlers do not intend to evacuate nonetheless. The 48 hours is slated to expire tonight. Incoming US Senator Mitt Romney has written a scathing op-ed targeting President Donald Trump, saying he “has not risen to the mantle of the office” and his actions have alienated America’s allies. The barbed remarks from the 2012 Republican presidential candidate come as he and other lawmakers prepare take up their seats in the new Congress. He adds that Trump’s actions had caused “dismay around the world” and alienated traditional allies in Europe. His comments seem to suggest Romney is positioning himself to take over the role of Jeff Flake, a departing senator who was a vocal critic of Trump. Trump’s warning shot referred to retiring Sen. Jeff Flake of Arizona, who has been Trump’s most consistent critic among Senate Republicans. As he and other critics leave Congress, it is an open question who — if anyone — will take up the role of publicly criticizing a president who remains popular with Republican voters. Netflix is facing criticism for pulling an episode from viewing in Saudi Arabia of American comedian Hasan Minhaj’s “Patriot Act” that criticized the kingdom’s crown prince. Minhaj used his second episode to lambaste the prince over the killing of writer Jamal Khashoggi and the Saudi-led war in Yemen. The Financial Times first reported that Netflix yanked the episode from streaming in Saudi Arabia last week after Saudi officials informed the streaming service that its content violated cyber-crime laws in the kingdom. Two days of fighting in rebel-held parts of northern Syria killed dozens of people as al-Qaeda-linked militants press their offensive against Turkey-backed rebels, a war monitor and activists says. The new wave of fighting comes after US President Donald Trump’s abrupt announcement in mid-December that he was withdrawing 2,000 US troops from Syria and Turkish threats to carry out a military operation against Kurdish fighters. With their offensive, the al-Qaeda-linked fighters are trying to cut off Turkey-backed fighters in the northern enclave of Afrin from those in the northwestern province of Idlib, amid concerns that Turkey might make a deal with Russia at the expense of the extremists, said Rami Abdurrahman who heads the Britain-based Syrian Observatory for Human Rights. “They are trying to say we are present and no one should ignore us,” he says of the al-Qaeda-linked fighters. The al-Qaeda-linked Levant Liberation Committee and the Turkey-backed Nour el-Din el-Zinki group blame each other for triggering the fighting, the worst in nearly three months. The Observatory says two days of fighting in the provinces of Aleppo and Idlib have killed 31 people, including five civilians. Also killed were 14 al-Qaeda-linked fighters and 12 Turkey-backed gunmen. The Austrian Jewish community criticizes the country’s foreign minister for inviting prominent Palestinian official Hanan Ashrawi to Vienna’s prestigious New Year’s concert. On January 1, Karin Kneissl said it was her “sincere pleasure to welcome the Palestinians’ voice of reason” and her husband Emile Ashrawi to the concert, which is annually performed by the Vienna Philharmonic. During her stay in the Austrian capital, Ashrawi, a Christian and a member of the Executive Committee of the Palestine Liberation Organization, gave an interview in which she called Israel an “occupying power” that “enslaves” the Palestinians. She also criticized the Austrian government for its pro-Israel course. “Why does one have to give such a platform to a hater of Israel? Hanan Ashrawi used her invitation to Vienna to once again demonize Israel,” says Oskar Deutsch, the head of Austria’s Jewish community. “Both Israelis and Palestinians suffer from this Palestinian leadership. What Mrs. Ashrawi calls a pro-Israel position is certainly more pro-Palestinian than the terror-promoting policy of Fatah and Hamas,” Deutsch writes on his Facebook account. The president of Philippine Airlines says his country has asked Riyadh for permission for his company to use Saudi Arabian airspace for its flights to and from Israel, Reuters reports. A green light from Riyadh would allow the airline to begin offering direct flights to and from Israel within six months, the president Jaime Bautista says. The National Union, a faction within the Jewish Home party, will be launching a campaign tomorrow that targets the party’s former leaders Naftali Bennett and Ayelet Shaked for “using them and throwing them away” when the pair announced the establishment of the New Right last week. Jewish Home MK Bezalel Smotrich tweets that Prime Minister Benjamin Netanyahu has ordered security forces to take down a pair of mobile homes illegally established on the hilltop where the Amona outpost once stood. Smotrich claims that the land on which the caravans sit was purchased legally from the original Palestinian landowners. However, they did not coordinate the installation with the necessary state bodies and they lack the permits required to make such a move. The IDF had placed a closed military zone order on the hilltop after it was cleared in February 2017. 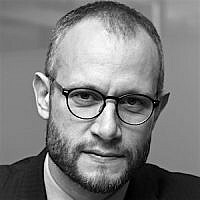 “It turns out that embracing the heads of the settlement movement is one thing and deeds is another,” tweets Smotrich. Patrick Shanahan, the acting US defense secretary, has started his first full day at the Pentagon’s helm by telling colleagues he sees China as a key priority. Shanahan, who took the top spot January 1 after Jim Mattis resigned amid disagreements with President Donald Trump, tells key Defense Department staff to focus on the National Defense Strategy, a broad review that highlights a new era of “Great Power competition” with Russia and China. “While we are focused on ongoing operations, Acting Secretary Shanahan told the team to remember China, China, China,” a defense official says. The US accuses Beijing of an ongoing pattern of military and economic espionage, and has criticized China’s ambitious “Belt and Road” trade and infrastructure initiative as being a form of economic coercion. “In 2019, the National Defense Strategy remains our guide. America’s military strength remains our focus,” Shanahan says in a New Year’s message on Twitter. The defense official says Shanahan would later Wednesday attend a cabinet meeting with Trump, the president’s first of 2019. A Palestinian man threw a pipe bomb at Israeli soldiers outside the village of Yabad in the northern West Bank, the army says. The soldiers opened fire at the assailant, who fled the scene. The military says it has launched a search for the attacker. Two days of fighting in rebel-held parts of northern Syria killed dozens of people as al-Qaida-linked militants press their offensive against Turkey-backed rebels, a war monitor and activists says. The new wave of fighting comes after US President Donald Trump’s abrupt announcement in mid-December that he was withdrawing 2,000 troops from Syria and Turkish threats to carry out a military operation against Kurdish fighters. Prime Minister Benjamin Netanyahu has landed in Israel after a five-day trip to Brazil. The court agreed to bar the publishing of the suspect’s name. The identity of the complainant, Arad Avital, was revealed at the beginning of the proceedings. The court finds that the officer in the Givati brigade sexually harassed and performed indecent acts on Avital and two other soldiers over a period of three months at their army base as well as other places. In one incident described by the complainant, the officer exposed himself to Avital and ordered that he undress. The young soldier initially refused, but eventually agreed after the officer insisted. When the commander began touching Avital, the young soldier fled the scene. The officer subsequently warned Avital that he expected the incident remain between them. The suspect also would ask his soldiers to send him naked pictures of themselves and invite him to any orgies they might be having. Avital says that when he tried to report the officer, the higher-ups gave the suspect full support. The complainant went on to undergo intense harassment from other soldiers and officers after he came forward. Avital says the ruling was not only a victory against the officer that had attacked him but also the entire military system that had stood behind his attacker. 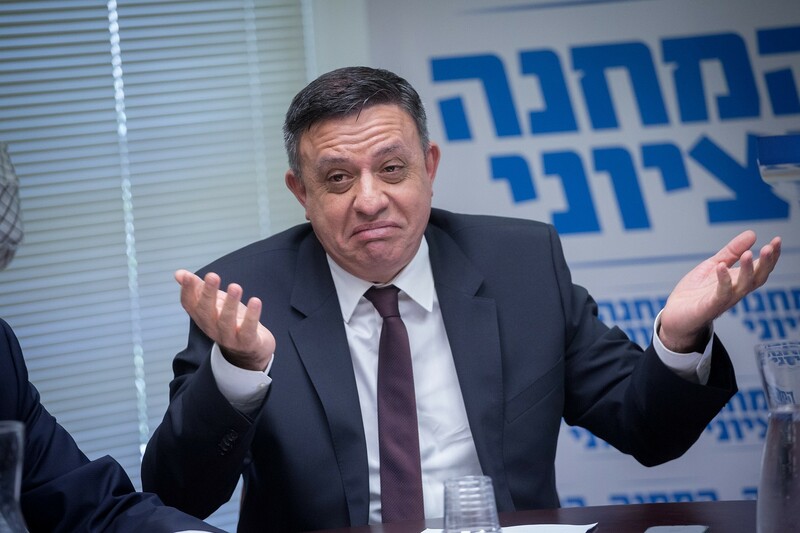 A Hadashot news poll indicates that Labor leader Avi Gabbay’s termination of his Zionist Union partnership with Hatnua party in front of live cameras yesterday at the Knesset has only damaged his standing in the eyes of the Israeli public. 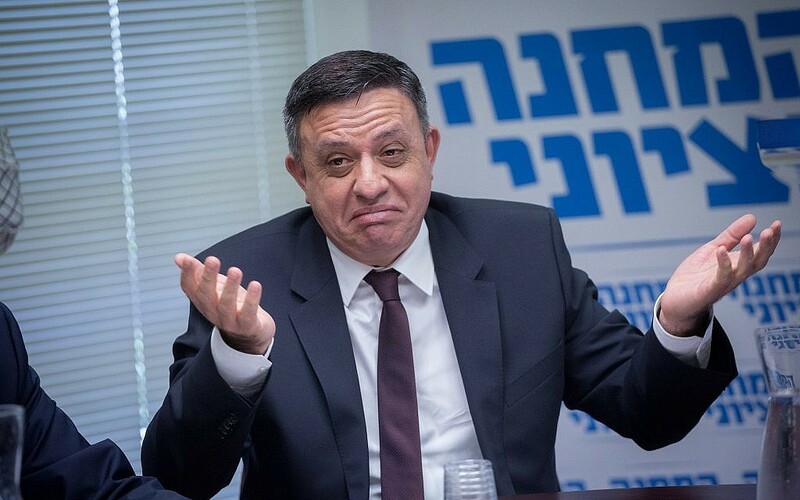 The TV channel’s poll has Gabbay’s Labor Party receiving just eight seats if elections were held today, compared to the nine mandates the last poll had the left-wing party receiving three days ago. The poll has Livni, running on her own, receiving five seats. The leading party is still far and away Netanyahu’s Likud with 31 seats followed by Benny Gantz’s faction and the Joint (Arab) List which the poll had receiving 12 seats each. Barring unforeseen delays, Attorney General Avichai Mandelblit will be able to announce his decision over whether he will indict Prime Minister Benjamin Netanyahu in a serious of graft probes by the end of next month, Channel 10 reports. A Kan public broadcaster poll indicates that if elections were held today, Tzipi Livni’s Hatnua and the Jewish Home party recently abandoned by Naftali Bennett and Ayelet Shaked would not pass the electoral threshold. The poll has Likud leading with 28 seats following by Benny Gantz’s Israel Resilience Party (14), Yesh Atid (13), Joint (Arab) List (12), New Right (9), Labor (7), UTJ (7), Kulanu (7), Orly Levy Abuksis’s Gesher (6), Meretz (6), Shas (6) and Yisrael Beytenu (5). Israeli settlers are suspected of hurling stones at the convoy of Palestinian Authority Prime Minister Rami Hamdallah while it was travelling in the northern West Bank last week, the Kan public broadcaster reports. A passenger inside one of the vehicles was lightly injured from shattered glass. The incident took place at the same junction where a large stone was hurled at a vehicle being driven by Yakoub Rabi in October. The rock went through the windshield and hit his wife Aisha in the head, killing the 47-year-old mother of eight. An investigation has been opened into the incident with the growing assessment among defense officials being that Israeli settlers were responsible for hurling the stone. However, a gag-order has been placed on the probe. A Border Police officer convicted of causing the death by negligence of a Palestinian teenager in 2014 will be released from prison. Ben Deri was convicted last April and sentenced to nine months behind bars, but the prison’s parole board will be granting him early release. Newly installed President Jair Bolsonaro issues executive orders targeting Brazil’s indigenous groups, descendants of slaves and the LGBT community in the first hours of his administration, moving quickly after a campaign in which the far-right leader said he would radically overhaul many aspects of life in Latin America’s largest nation.